Want to get that quote just right? With Payperworks access to accurate Pricing via your wholesalers pricelist and profit margins displayed in both $ and % - you’ll be winning quotes and making money in no time! Copy from a template or previous quote (or invoice) and save time typing! Unlimited text with spell checker for full scope of work details. Option to rework old quotes with updated prices with a click of the mouse. - Itemised using your own items. 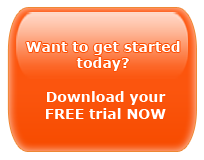 - Itemised using your wholesalers pricelist. - You can make up and use unit rate items. - Or you can simply add a total price. 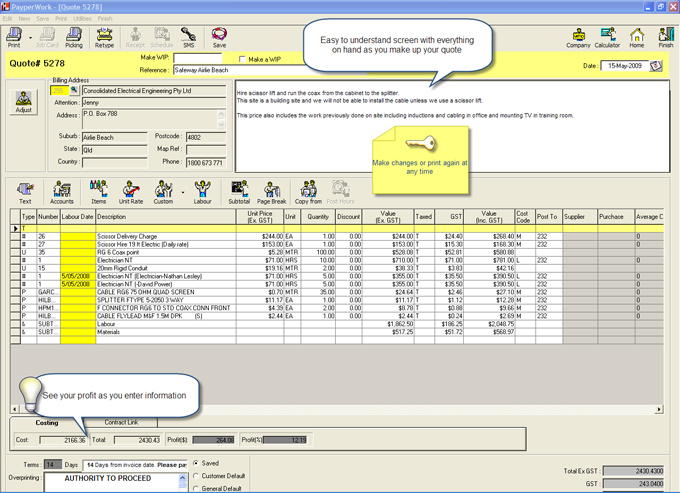 Use Sub-Totals to break down sections and options for your customers. Accurate costing including profit in $ and %. One click conversion to job and then to invoice. – Easy! 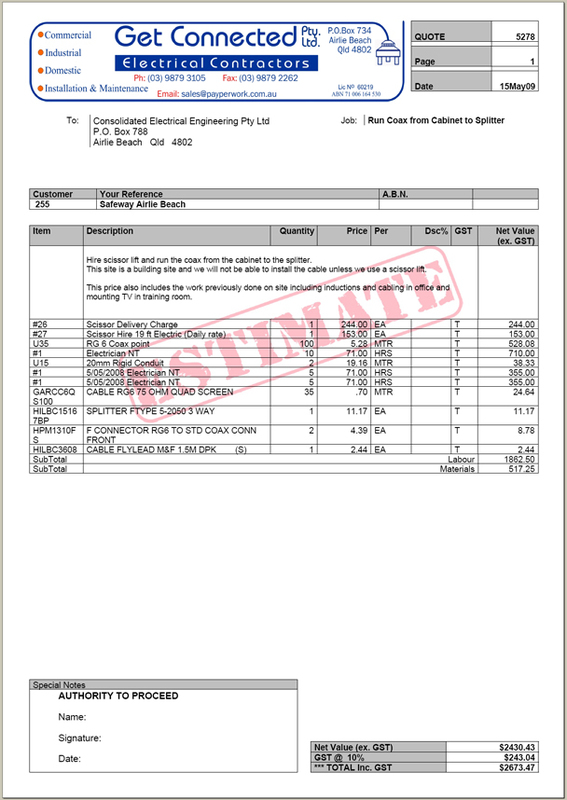 Quickly make up a materials order using the details from your quote. Review and modify or reprint at any time. Better awareness of what you stand to profit from the quote, so if you are asked to trim the price, you can easily see how much room you have to move.